Online social networking is the best relationship building for getting work, business. The game and rules of game have changed. Social media in modern era has 100% higher lead to close rate then traditional marketing. Using social media for strong networking, marketing can surely help one grow their brand and succeed online. Want to know more?. Okay read on..
At this point of time, not having a strong online social presence means letting go a big part of positive connections who could help you in your mission or business. In the modern era, everyone one is online and you never know who could be your potential client as well. The freedom of FREE connectivity with each other in online social networks lets one to know each other well. Stronger your online network is, better the chances of you positively spreading the word about yourself, your work and being known. Few important points which highlight the importance of social media connections. We fear adding people in our social networks whom we do not know. This is absolutely opposite to how it should be. If you want to pursue a mission, you can reach your goal with the help of people only. Networking is the answer as people help you in achieve your goal. Yes there are certain attributes which should be factored in when you add social media connections (such as original profile, timeline and history of posts/tweets). As you stay connected with such people you get to know about their work, their lifestyle and can be targeted to help you in achieving your goal. People view Facebook and other social networks as social networks not as marketing websites. This means, they wont see you as advertising your business (if done wisely) and hear to what you have to say. This in short, long run results in beginning of traffic to your profile and website. In the process you get connected with mind-liked people who want to know what you have to say by following you. The become your helping hands, if content is good they share it for you and that is where the game begins to lift. Social media is also useful because it keeps track of external links to the content. So a more, diverse links means more authority in Google’s eye. Imagine your content from high PR social media network linked to your website, how effective that would be in Alexa ranking alone? A free world where you can connect with any one, most importantly the ones who could help you achieving your goal. With social networking you can connect with thought leaders, liked minded people, decision makets as well as media/journalists who could potentially give you media coverage for your work. It never hurts to go one extra mile, there is no harm in trying that. A strong network connection can result in brand loyalty with the followers, friends who are constantly looking for new posts, update about your work product or business. They can reach out to you, give instant feedback about your approach which can help you grow. 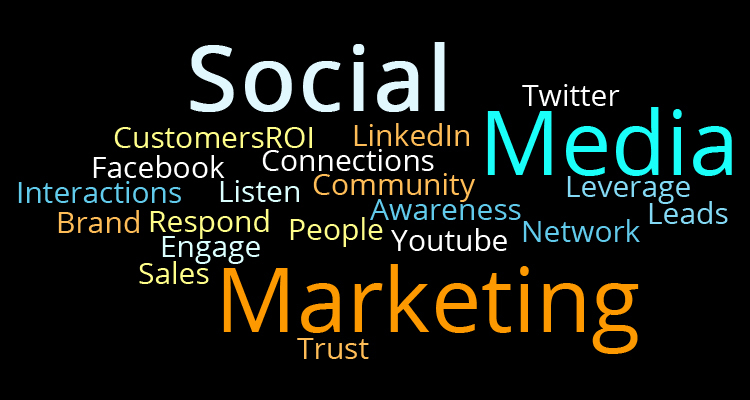 Social media networking/marketing fetches more sales. According to Marketing Tech Blog, 70% of business-to-consumer marketers have acquired customers through Facebook. This is how strong this social network is. Social networking is free, it does not costs you any money and bigger, better you online network is, more people will help you in achieving your goal. Silver lining is, it is all FREE. Start building your social network and get connected online. Previous article Do you know there is a Living Computer Museum in Seattle, WA USA?